BYK-Gardner has introduced a new haze meter to simultaneously measure total transmission, haze and clarity according to ASTM and ISO test methods: the haze-gard i. The measurement of Total Transmittance and Transmission Haze is specified in two international test methods. ASTM D1003 requires illuminants C and A, using the non-compensated method. In contrast to this, ISO 13468 asks for readings taken under D65 with a compensated method. The new haze-gard i simultaneously displays results for both test methods – now you are well prepared for any global customer specification. The outstanding precision and reliability of the haze-gard i are guaranteed by using high performance LED technology. Reference beam, self-diagnosis, automatic, long-term calibration and 10 year warranty on the lamp life make the instrument operator friendly and safe for many years. Vertical position of the haze-gard i. Photo courtesy of BYK-Gardner. The open design of the haze-gard i lets you work freely to analyze any sample size. 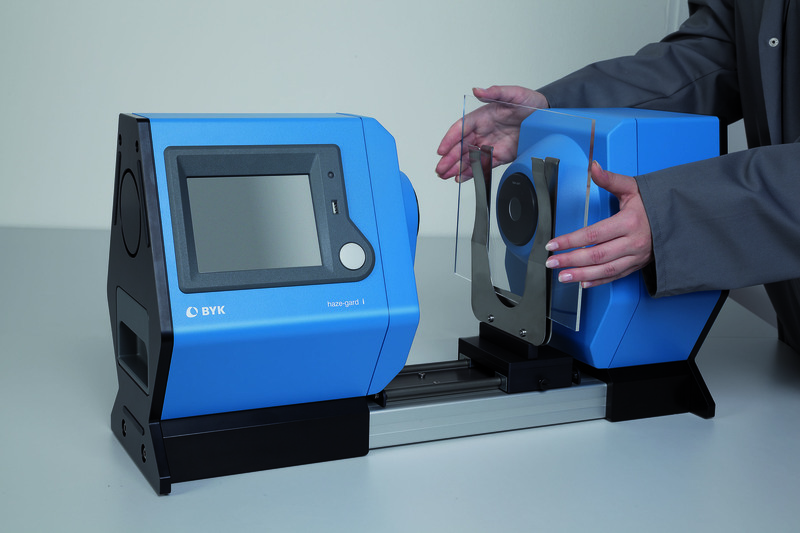 Small and large samples can be quickly changed, positioned and measured without the influence of ambient light. A versatile sample holder for films and sheets is now part of the standard delivery content. Optional sample holders for the Taber abrasion test and cuvettes for liquids are available. To ensure the highest flexibility, the instrument can be set-up in a horizontal or vertical position. A large color touch display with symbols to select menu functions and a dedicated measurement button make the instrument intuitive and easy to use for any task. 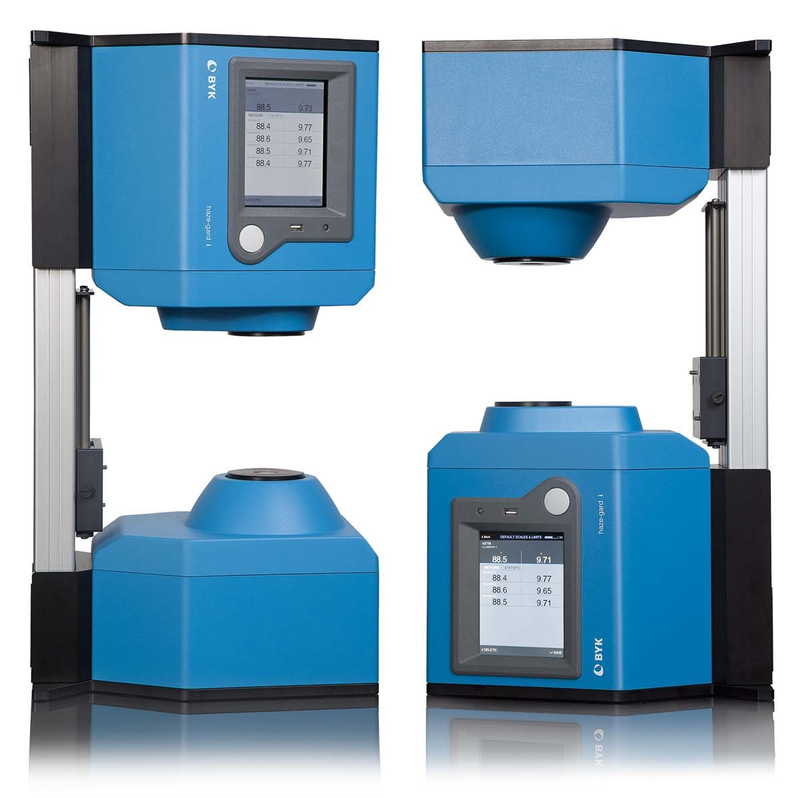 For efficient work management, the measurement data can be statistically analyzed directly in the haze-gard i or transferred to the software smart-lab haze. Thus, measurement data can be graphed in trend reports over time to evaluate process stability. Data transfer from the instrument to the PC can be performed via USB-cable, through direct LAN connection to a network or saved to a USB-stick.